Today is a German Holiday, but I had to work. I hit the autobahn, and barely saw 1o cars in my whole 10 mile commute. I can tell you that 130 MPH with the top down for 10 miles will give you a silly grin and a hairstyle to match! My 01S makes the dullest days exciting. 45th birthday is this weekend, so I am taking my car to Hochenheim for the first time. Can't wait! 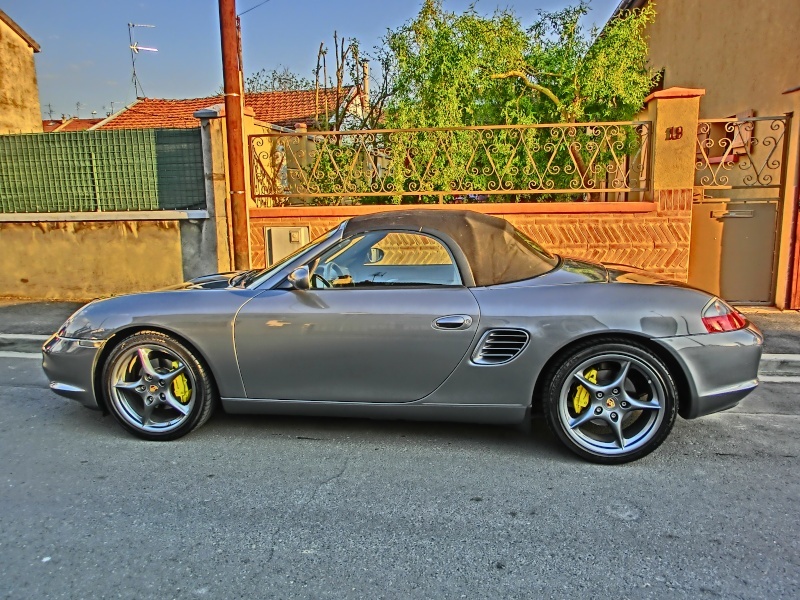 Hi all, I bought my first Porsche just this month, a silver 2003 Boxster S with extended red leather throughout, Litronics, Bose stereo, M030 suspension, active mirrors and rain sensors, heated seats, etc, etc.. I took it out for a nice 2-day holiday last week and just clocked 33,000 kms. Yup, it's pretty much brand new. Hopefully I haven't already lost my license due to the speeds I was 'accidentally' reaching. I have a 2000 Boxster, and bought it new in 2000. Not a day goes by that I don't get excited about driving it (top down always). Just installed the Suncoast rear speaker kit, and the sound is great at 70mph. I've toyed with buying a new 991, but every time I get close, something pulls me back. I agree that the curves on the 986 are much cleaner than the newer models (in my opinion).